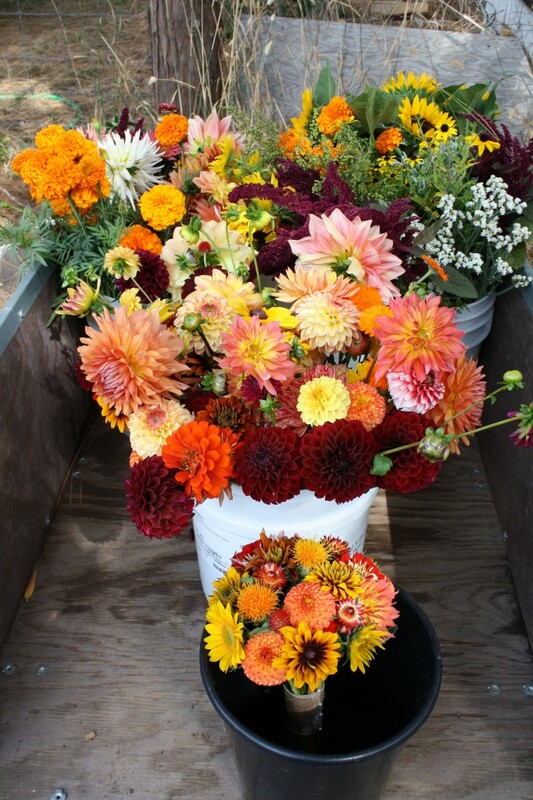 Bulk flowers are available by the five-gallon bucket, including an assortment of varieties, color-specific if needed, in order for you and your friends and family to have a hand in the creative process of laying out your own flowers! 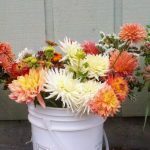 Buckets range in number of stems and price depending on varieties included, and contain a mix of focal and filler flowers, typically between 100-120 stems/bucket in spring and 80-100 stems/bucket in the summer and fall. 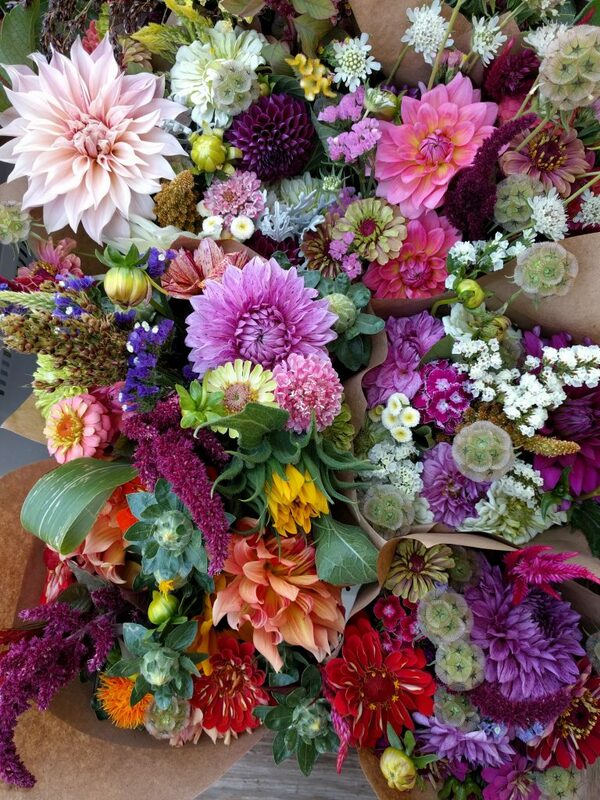 Our bulk option does not include consultation or delivery (on farm pick-up available – 5 minutes from downtown Nevada City), though we are happy to add these on if desired, price dependent upon distance traveled. 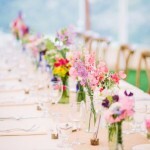 If you don’t have specific colors or types in mind you can choose our “best of the season” option which allows us to harvest whatever is most beautiful on your special day – an eclectic mix of all colors available that month. 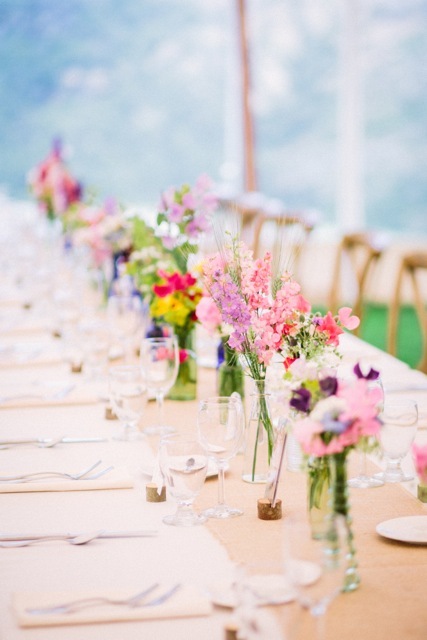 Specific color schemes and/or flower varieties are of course welcomed as well. 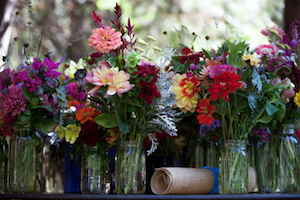 If you want specific varieties of flowers we sell by the bunch and price is per stem. 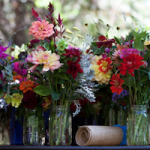 We highly recommend signing up for a consultation so we can help you calculate the number of vases, buckets, and flowers you will need for your DIY needs! 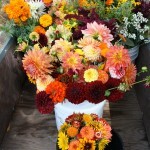 On farm consultations also allow you to see the flowers we grow and what we have in abundance on your specific date. If estimating yourself please come to us with your order prepared. 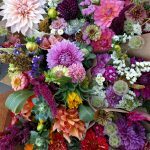 We recommend doing a practice bouquet to get a sense of the number of flowers you will need for the vases and arrangements you have chosen. 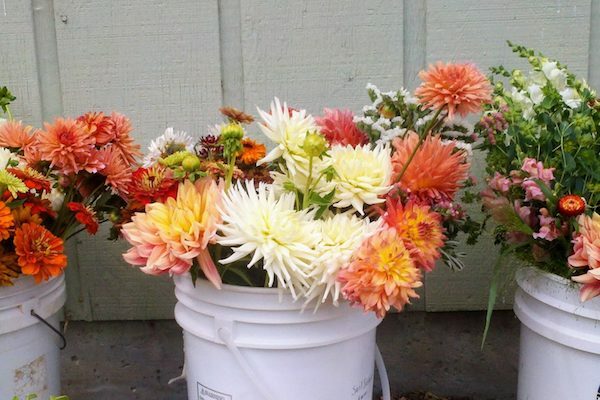 Buckets start at $80 with a $5 bucket deposit unless you bring your own buckets to transfer flowers into.